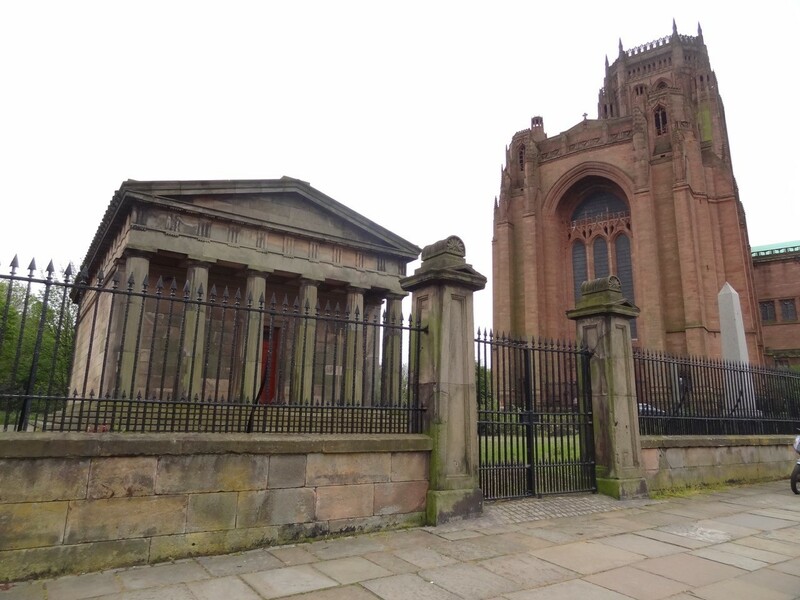 The North end of Princes Boulevard is a remarkable “Religious Quarter” which illustrates the diversity of religions and religious architecture in Liverpool. The tour will look in passing at: the Neo-Byzantine Roman Catholic Church of St Philip Neri (1920); the Neo-classical St Bride’s Church (1829-30); the exotic Greek Orthodox Church of St Nicholas; the restrained gothic St Margaret of Antioch Church and; the remarkably tall spire of the Welsh Presbyterian Church in French Gothic inspired, known as the Welsh Cathedral but now in a desperate condition. 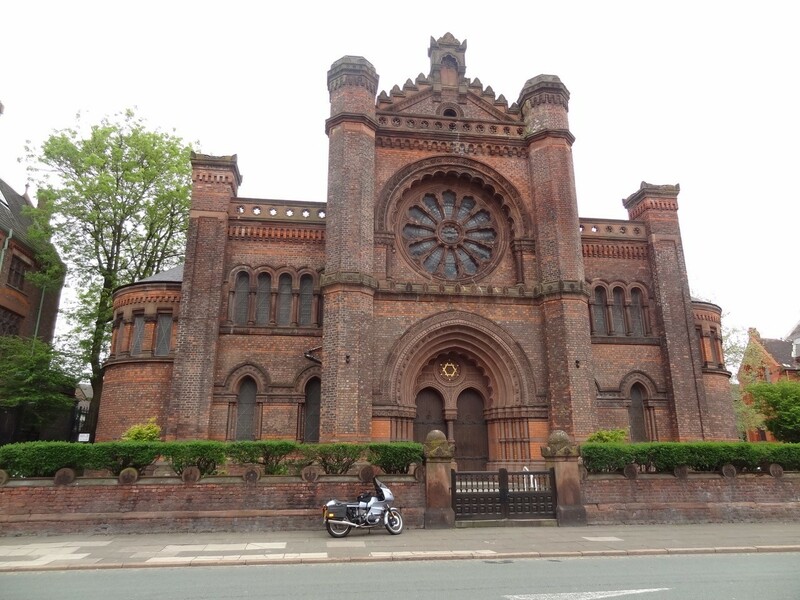 The tour will include a guided visit to the Princes Road Synagogue, which Pevsner describes as “one of the finest examples of Orientalism in British synagogue architecture” and which was featured in the BBC’s House through Time. The Church of St Luke’s (1810-12) was initially designed by John Foster Senior with “working amendments” (and railings) by Thomas Rickman, the architect who devised the classifications of Gothic architecture and pioneered the use of cast iron-framed churches, with the iron-master John Cragg. 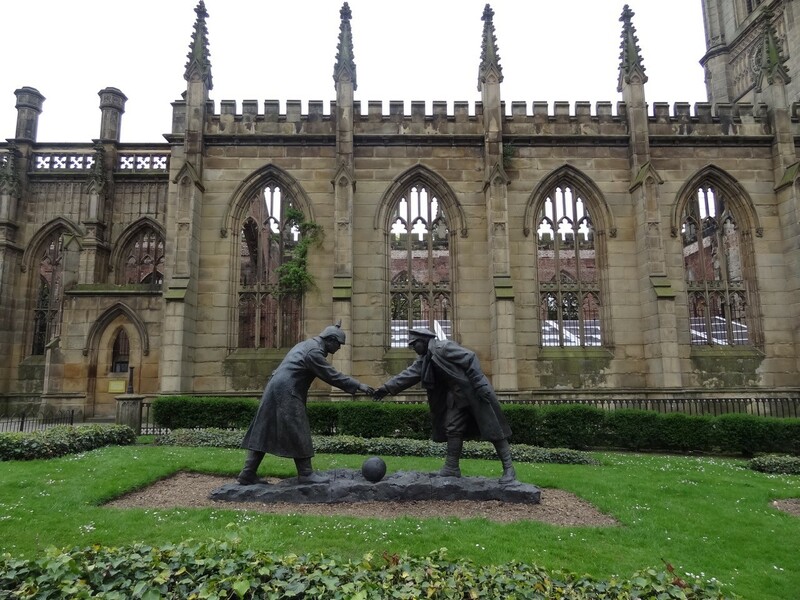 A bomb fell on to the roof in WW2 but the shell survived and was retained as a monument and a war memorial, including a recent sculpture to commemorate the famous Xmas day truce for a game of football (celebrated by The Farm in “Altogether Now”)! It is owned by Liverpool City Council, which has recently organised stabilisation works, which were designed by Donal Insall Associates. LCC has now agreed to transfer responsibility for its management and use to a community arts group (Urban Strawberry Lunch), which will explain its plans for the future. The tour will look in passing at the Greek Revival Church of St Andrews (1823-4), which was built for Scottish Presbyterians, derelict for two decades following a disastrous fire but now restored and converted to student accommodation. Liverpool’s Anglican Cathedral is: the last great gothic cathedral in the country, only completed in 1978; the largest in the UK and the fifth largest in the world and; was designed by Sir Giles Gilbert Scott, who also designed the red K5 telephone boxes. It is a remarkable architectural achievement, testimony to Liverpool’s wealth when it was commissioned, but also a canvas for the tradition of artistic expression, from the sculptures of Edward Carter Preston to a towering bronze statue of Christ by Elizabeth Frink and a rather underwhelming piece by Tracey Emin. In the shadow of the cathedral is John Foster Junior’s Oratory (1827-29), a perfect Greek Doric temple which was built as the chapel of St James’s Cemetery, now containing a rich collection of monuments. The cemetery and headstones have been reorganised but is still accessed via the dramatic tunnel in the bedrock and is now maintained by The Friends of St James’ Garden. The tour will look in passing at the Greek Revival Church of St Andrews (1823-4), which was built for Scottish Presbyterians, derelict for two decades following a disastrous fire but now restored and converted to student accommodation.